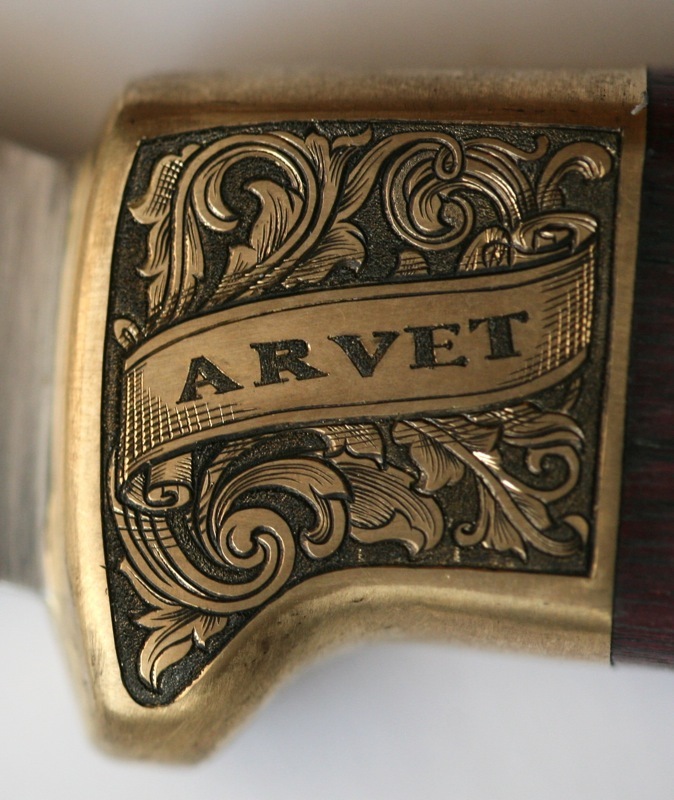 Now finally the knife is engraved too. As it will be a jubilee gift, then I had to engrave the receiver name and age on front bolsters. The age in on the other side of front bolster. Very nicely done. Gives the knife that little bit of “extra special” without going over the top of ruining its simple form. 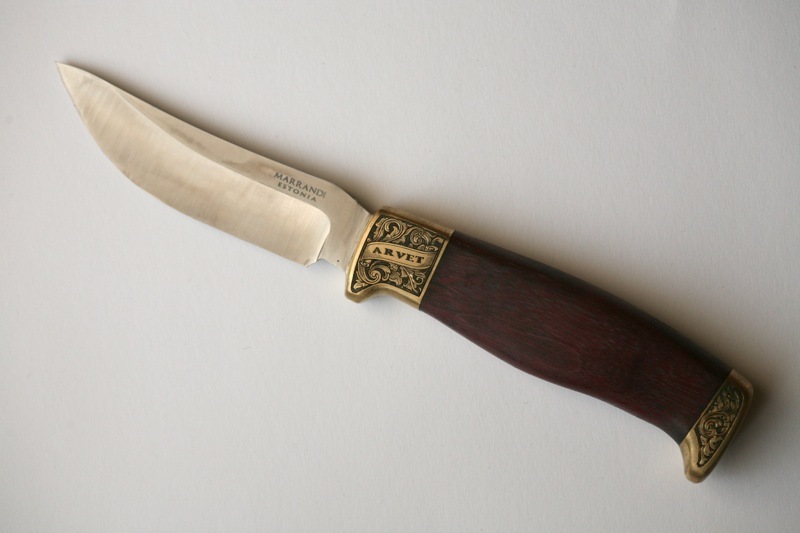 I have never made a knife in my life just a sword … but i can regognize a well made one. Can you do this kind of engraving on my zippo? I find your work very nice. I published a post on my blog about your zippo engravings.